Antarchakshu – The Eye Within, is an event organized by the Xavier’s Resource Centre for the visually Challenged (XRCVC), St. Xavier’s College, Mumbai, as part of the Mumbai Eye Care Campaign, a Sightsavers initiative that focuses on eye health, awareness, research and advocacy of issues surrounding visual impairment. The central idea of this event is creating awareness about the lives of the visually impaired. The participants will engage in basic activities which challenge and simultaneously inform. Antarchakshu 2012 was held on September 14 and 15 at the St. Xavier’s College hall. 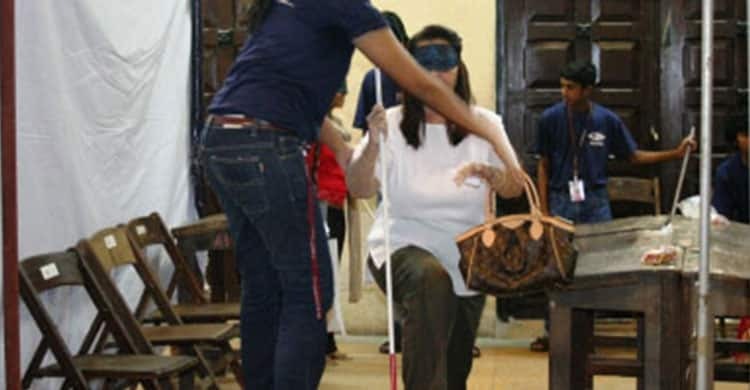 The objective of this event is to showcase the daily intricacies of the lives of the visually impaired. 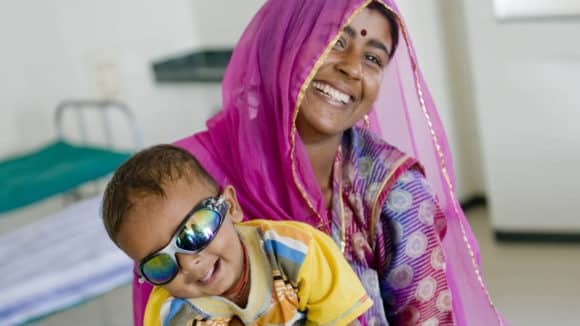 “As in previous years, Antarchakshu will aim at bridging the awareness gap concerning blindness among various stake holders. 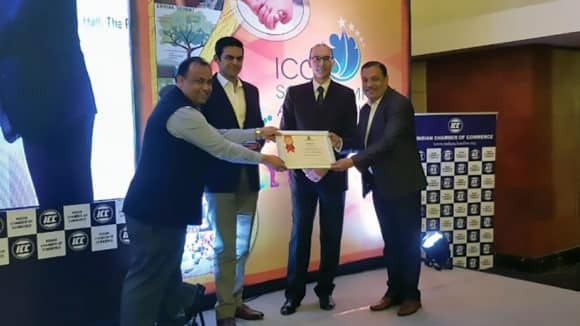 We have on offer some new exercises and even a fully functional accessible ATM to help break barriers and achieve access,” said Sam Taraporewala, director of XRCVC. This year, the XRCVC has aspired to scrutinize the everyday aspects of our being, under the light of visual constraints. By focusing on the areas concerning education, financial services and employment opportunities, we realize the shortcomings of our systems which are often taken for granted. 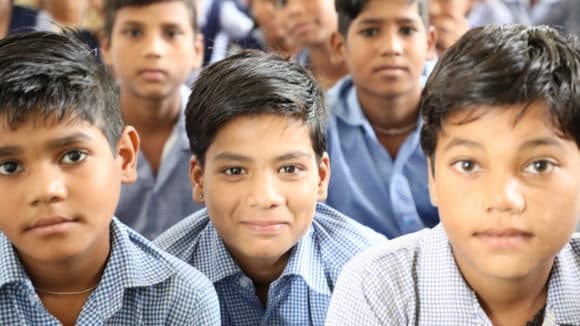 “Through education around eye care, we seek to explore the various techniques used by the visually challenged students especially while studying Mathematics and Science. We also focus on the availability of printed resources in this context as also the challenges related to faulty examination rules and guidelines. 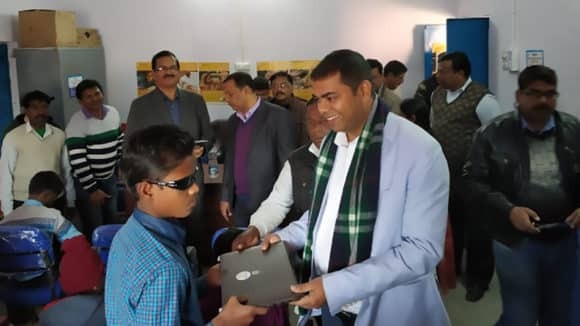 The participants will learn more about the educational methods of the visually impaired which are only slightly different from those used by the sighted students,” said one fo the students organsing Antarchakshu this year. Focusing on financial services and eye care, Antarchakshu 2012 throws light on how the visually impaired access the existing services. The event will also showcase a live accessible ATM, a major step of financial inclusion which has begun in India. 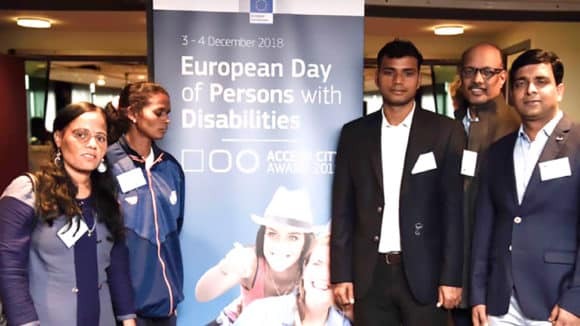 Under the theme of employment opportunities, the event will create awareness about the involvement and employment of the visually challenged in various fields of work. Thinking beyond the box, looking into other career options such as adventure sports and help our sighted participants re-think whether one even needs sight to decide and engage in a career of one’s choice or whether it is merely a matter of aptitude and interest.